It’s always a pleasure to be asked to read and review one of Amanda Prowse’s books and I very much enjoyed reading this one about Anna. It is the first of the One Love, Two Stories series and is published next month, to be followed by Theo in April. Anna tells the story of Anna Cole, from when she was very young living with her mum and older brother Joe. Despite times being hard for her mum, she has a very happy childhood and knows that above all she is loved. By the time she is 13 though, Anna has known more heartache than you would want any child to bear. Anna is so brave and is determined to make a success of her life, despite the difficult circumstances she has been in. More than anything, she wants to create a loving family of her own. And that’s where Theo comes in. Theo could not have had a more different childhood from Anna’s, though we only get glimpses of it in this book. He is from a privileged background, went to boarding school, lives in a large expensive house in an affluent suburb of London and money is no object for him. Yet he and Anna are perfect for each other. This is Anna’s version of their love story. As always, Amanda Prowse shows her talent for writing an emotionally engaging story. My heart went out to Anna who had such a rough time as a child yet somehow managed to come through everything as a strong, independent and caring young woman. The author captures emotions so beautifully that you can easily empathise with her characters, even if you haven’t gone through the same experiences. All Anna wants is to be loved and to love her own family in return. I really felt for her as for one reason or another, the possibility seemed to be further away than ever. I loved the letters she wrote throughout the book, so touching when she was a child becoming even more poignant when she was an adult. Without giving anything away, the story feels a little unresolved and I am now really looking forward to reading the story from Theo’s perspective to see if it will be resolved. I am keen to find out about his childhood which, though privileged, seems to have been unhappy. It will also be interesting to read about the relationship from Theo’s point of view. 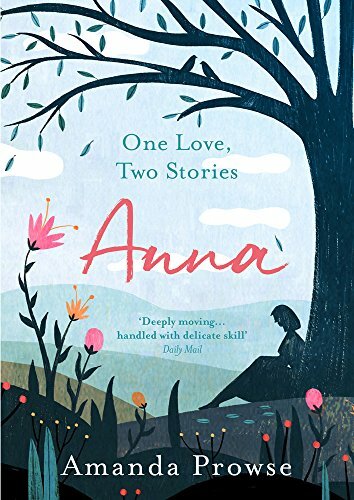 Anna is another heart-warming yet heart-wrenching story from Amanda Prowse – keep your hankies to hand, you may well need them!